Andorra Silver Coins have become internationally renowned as both bullion and collectible issues. These coins are rare, one of a kind, and exotic enough to please the most discerning collector of or investor in coins for their silver IRAs. Andorra lies hidden between the borders of Spain and France. The microstate of the Pyrenees has become a popular choice for tourists and travelers from all over Europe and the world. This principality is ruled by two co-princes who benevolently oversee the tiny nation's tourism business, duty free trade, financial center, and commercial center. The wealthy country has evolved into a world respected issuer of fine bullion and collectible coins. Andorra Silver Coins comprise several different collections. The Andorra Diner Silver Eagles are their standard issue bullion coins. These are manufactured by Geiger in one ounce and one kilogram sizes. Besides these, the country also offers the collectible coins of the Pyrenees Wildlife series, the Goddesses of Love series, the Seven Virtues series, and the Renaissance Madonna coin program. The Pyrenees Atlas of Wildlife series depicts the most common animals from every continent within their native habitats. Six sets are being issued in the series at a rate of one set per year. Each year will be dedicated to a particular region of the inhabited continents. These coins are truly spectacular thanks to their antique finish, Swarovski crystal inserts, and excellent quality. Seven Virtues series coins take off on the famed seven virtues painted by Piero del Pollaiolo of the Italian Renaissance and successor Sandro Botticelli.These coins feature the seven Heavenly Virtues of Faith, Temperance, Hope, Charity, Prudence, Fortitude, and Justice and were featured in a set of seven coins from Andorra in year 2012. The Renaissance Madonna coin program includes Mary the Mother of Jesus with either her infant son or alone as portrayed by the famous works from the best known Renaissance masters. Included in these are the small reproductions (in full color) of Madonnas as painted by Leonardo da Vinci, Sandro Botticelli, Raphael, Lucas Cranach, and Filippo Lippi. The Andorra Diner Silver Eagles bullion coins are guaranteed by Geiger the manufacturer as well as by the Principality of Andorra to meet the stated specifications for actual silver purity, weight, and content. Coin aficionados use the word “obverse” to refer to the front of a coin. Andorra Diner Silver Eagles have an obverse with the four section coat of arms for Andorra. These are a bishop's liturgical headdress and crosier to represent the principality co-founding Bishop of Urgel, two cows taken from the arms of the neighboring French province of Bearn, the coat of arms of the co-founding Counts of Foix which features three stakes, and the coat of arms from neighboring Catalonia which features four stakes. The same coin enthusiasts utilize the world “reverse” to reference the back of a coin. The Andorra Diner Silver Eagles showcase a finely detailed figure of an eagle which has its wings spread wide as if in landing position. In an arc above the eagle it features the word “ANDORRA.” Below the eagle it spells out the face value “1 DINER.” Underneath this is the year of minting, which varies. Below this in a upward arc along the rim it states the Spanish phrase that translates to the silver purity of one ounce pure silver .999. Andorra Silver Diner Eagles have legal tender status in Andorra with a face value of either one diner or 30 diners in the larger one kilogram size. This face value is insignificant compared to the intrinsic value of the silver which comprises them. Besides this silver value, the market value is also made up of a generous premium added onto these coins for their limited mintage and collectable value. This explains why the coins trade for significantly greater prices than the daily price of silver on the spot markets. Market value of these pieces is critically important to any silver coin collector and investor. 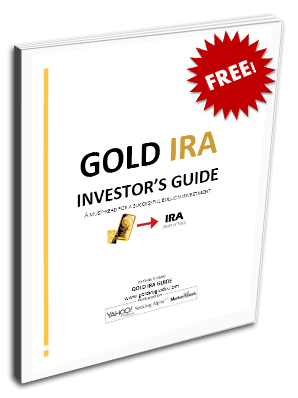 It gives the self directed IRAs and other investment portfolios their actual values. The silver bullion value within these precious metals IRAs which contain them will go up and down as the trading week progresses. This causes the values of these Andorra Silver Diner Eagles to rise and fall similarly more or less in lockstep with the spot silver prices. You may quickly and easily reference the spot prices of both silver and gold by clicking this link to our home page. Can IRA Accounts Contain Andorra Silver Coins? Andorra Silver Coins are unique and exotic enough that you may wonder whether or not the IRS will allow you to include them in your self directed precious metals IRAs. The American taxing authority has the sole discretion on this issue. First you will have to open one of these accounts by making purchases of $5,000 in silver, gold, and other precious metals. After this point, you are always allowed to add in additional precious metals purchases in minimums of $1,000. Regarding including these lovely gems within your IRA account, they must pass muster on two different counts with the Internal Revenue Service. These twin standards include a level of minimum silver purity and low collectability factor and premium. The silver purity requirement is for .999 fineness, which these coins exactly meet. Unfortunately they fail the IRS test for collectability and high premium over spot silver prices. Since these coins are regarded by the IRS as overly collectable, they may not be included within the precious metals IRA accounts. Even though the IRS takes a hard line approach and restricts these particular pieces, you can still include them in other kinds of retirement and investment accounts. Reputable world coin dealers will be able to acquire them for you, especially those which are based in Europe.